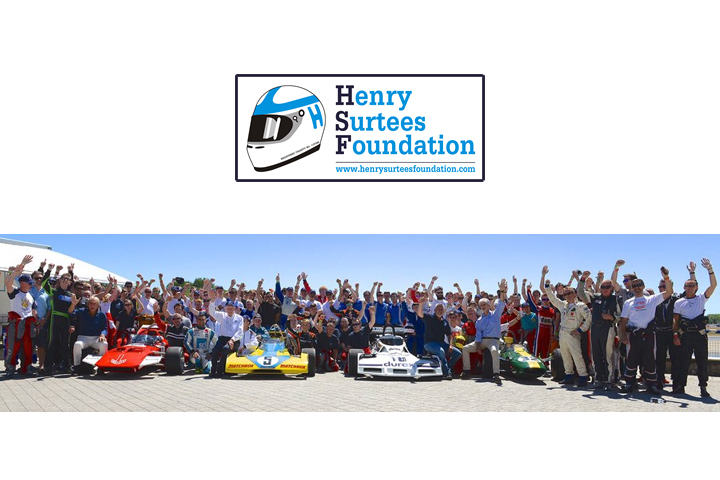 Team entries are now open for the fifth annual Henry Surtees Foundation Brooklands Team Challenge which will take place on Tuesday 5 July 2016. The event organised by John Surtees CBE, in co-operation with Brooklands Museum and Mercedes-Benz World will be staged once again at the iconic Mercedes-Benz World, Surrey and is free to spectate. Each year the Brooklands Team Challenge receives tremendous support from the world of motorsport, business and the entertainment industry and 2016 will be no exception. Last year the event raised over £58,000 for the Henry Surtees Foundation which was established by John Surtees, following the tragic death of his son Henry, and the Brooklands Museum Trust John Surtees CBE said: “The foundation is now taking entries for teams to participate. Why not put a team of four together, join fellow enthusiasts and motor sport personalities to experience the thrill and excitement of this prestigious karting event”. 35 teams will have the opportunity to compete in a challenging 2 hour endurance race, where competitors battle it out in Daytona High-Performance two-stroke DMAX Karts in the hope of securing the converted ‘H’ trophy. Racing starts with practice and qualifying, followed by an interval featuring a spectacular display of Surtees Formula cars and demonstrations by celebrity drivers. The interval historic Parade will again feature star names and celebrity race machinery. The Brooklands Team Challenge culminates in a two hour endurance race and a prize giving Champagne and canapé reception in the impressive state-of-the-art Mercedes-Benz World venue where the prestigious 'H' trophy is awarded to the reigning 2016 karting champion. The Champagne and canapé reception features interviews with racers and celebrity guest participants, plus an incredible fundraising auction hosted by Bonhams. Guests have the opportunity to explore the fascinating exhibitions and get up close to legendary Mercedes-Benz vehicles. The reception is open to both competitors and non-racers to attend (paid guests). Brooklands Team Challenge: Teams are based on four competitors at the price of £1,200 per team entry. The Champagne and canapé reception: Tickets are available to attend the reception, at cost of £65 per person.